promote ‘packaging-free shops’ which allow customers to bring their own containers, keeping waste to an absolute minimum. Pret a Manger launched a plastic bottle deposit return scheme in Brighton which will recycle any plastic bottles and return a 10p deposit on any Pret-branded bottles. The initial feedback reported 15 percent of Pret bottles were returned on the first day. Pret a Manger has also partnered with bottle makers Chilly’s to create a range of reusable 500ml plastic bottles. Pret has also been offering free filtered water stations which are available to passers-by and customers alike at 66 of its shops across the UK. Morrisons has begun a deposit return scheme trial for the return of single-use plastic bottles in two UK stores. The two reverse vending machines will award participating customers with points coupons. The machines accept all plastic bottles that have a barcode and Morrisons own-brand bottles that may not have one. Customers can return a maximum of 20 bottles a day and receive 100 Morrisons More points in the form of a coupon which can be spent in store for each one. They can also choose to donate a 10p cash alternative to the supermarket’s charity partner, CLIC Sargent. Iceland has introduced a reverse vending machine in its Fulham store which rewards customers for recycling with shopping vouchers. The machine accepts any Iceland plastic drinks Every bottle deposited will warrant a 10p voucher. Visitors to Canary Wharf can recycle their single-use plastic bottles and cans using a Deposit Return Scheme in Canada Place. The machine currently rewards users with a ‘thank you’ note and plans are being finalized for the machine to print 5p or 10p discount vouchers, depending on the retailer. Whitbread plc offers free drinking water for customers and passers-by in each of its Costa Coffee and Premier Inn locations. McDonald’s has promised to discontinue use of plastic straws in all its UK restaurants. Leon restaurant chain has replaced plastic straws with biodegradable alternatives. Plastic bottles and their lids make up 10% of all litter found in the Thames. About 40 countries worldwide – including Norway, Germany, Sweden and Israel – and 21 US states have some kind of deposit return scheme for plastic bottles. Most schemes involve returning bottles to an automated collection point or to the shop from which they were purchased. 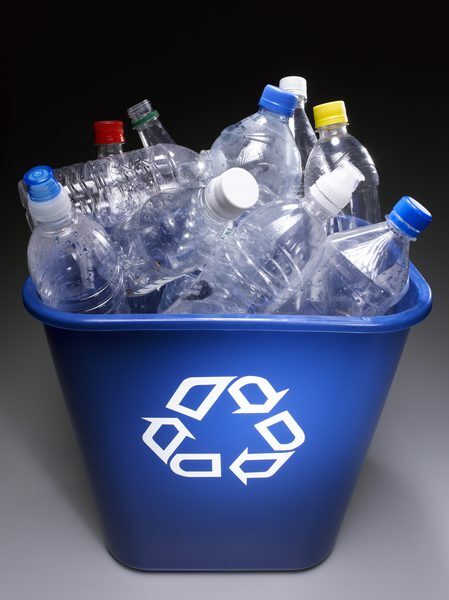 The Norwegian scheme claims a 94% recycling rate for bottles made from PET, the clear plastic used for water and fizzy drinks. The drinks industry has installed machines in shops that take in used bottles and cans and give back a coupon to return the deposit. The 5p levy on plastic bags in the UK has resulted in single-use carrier bags usage down by 83%. 80 % of 18-22 year-olds ranked tackling single-use plastics as important or very important for employers, ahead of reducing electricity use, water consumption and reducing greenhouse gases. Environmental responsibility is now in the top three considerations for all younger workers and 43% said they would be shocked if their employer continued to use single-use plastics. This entry was posted in Recycling, Westminster City Council and tagged westminster city council. Bookmark the permalink.